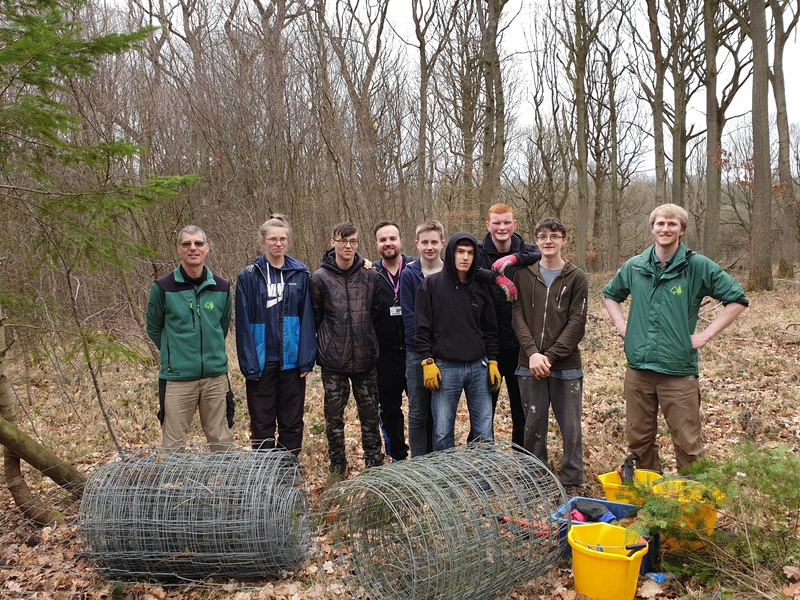 As part of the land based studies Conservation in the Community Project, Learners visited the Wyre Forest on Tuesday to carry out work with the Forestry Commission. The Forestry Commission are a government led organisation that work both within our local area as well as nationally to help maintain quality within our woodlands. They protect many species whilst carrying out a range of tasks to ensure conservation efforts are kept in the heart of our communities. Our Level 1 and Level 2 learners worked alongside Phil, a Wild life Ranger and Forester. Phil is part of a committed team who aim to ensure the woods are safe for visitors recreationally but also works alone to ensure the woodland is managed safely. Conservation efforts allow for new trees to be planted and grown in the woodland to replace any that have been removed. Within the remit of this position Phil is also required to help assist in the control of deer numbers which will protect many of the young trees from being eaten in the forest. The visit was a very informative trip that allowed our learners to get a real taste of woodland workings and management. 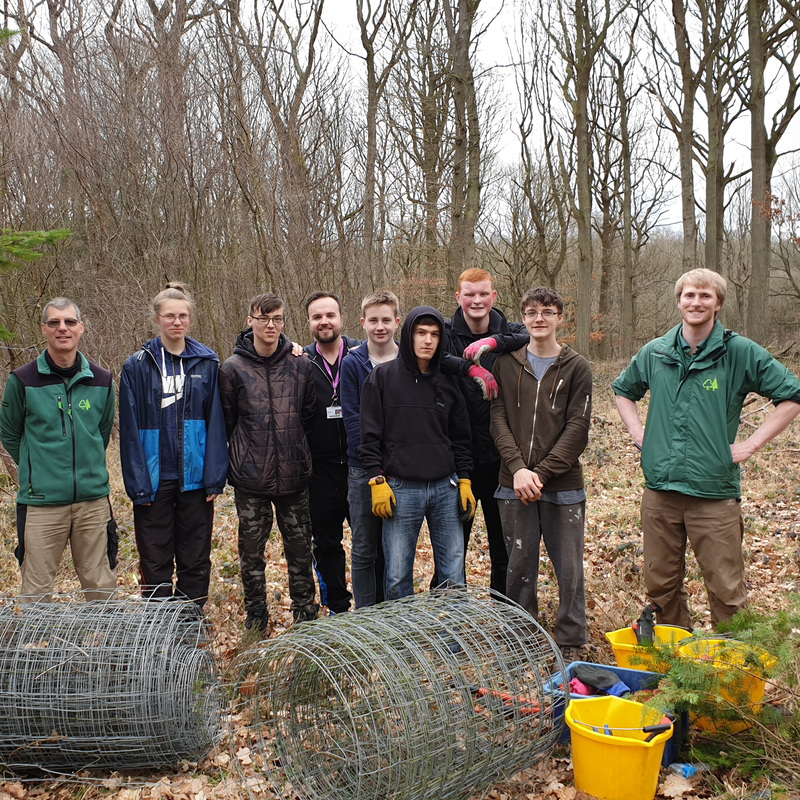 Phil had outlined a task for our learners to assist him with, this involved the removal of deer fencing that had been put up 15- 20 years ago to stop the local deer eating young trees. The trees were well enough established now to hold their own and so the Forestry commission had decided to take the fencing down and redistribute some of it elsewhere. This job was by no means a walk in the park, it required a great deal of focus, team work and commitment to see it through. The learners did not disappoint and many approached me at the end of the day to say how much they had got from the visit which clearly makes the day and my job worthwhile! As a course I think we are providing some great experiences to our learners and all the staff in our department endeavor to give our learners memorable experiences within the field of Land based Studies. – Chris Millington, Practical Tutor. Want to know more about extra conservation and horticultural opportunities?